It will be available in the next Google Play Stable release as well. WhatsApp has added a new useful option (already available on iOS) that allows to quickly show a media directly in chat. 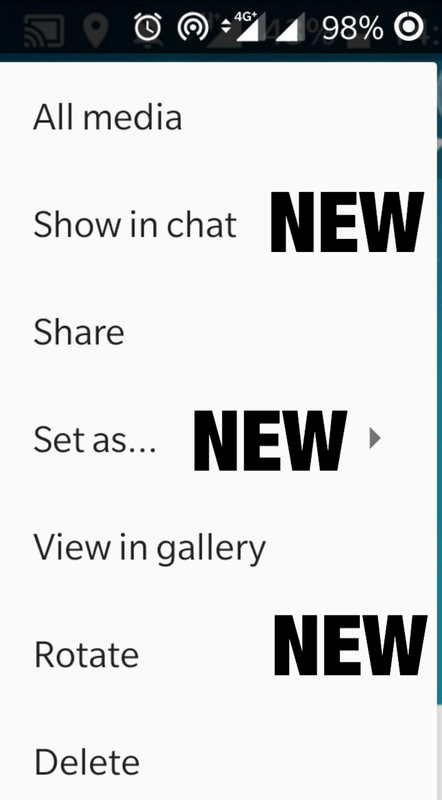 When you select Show in chat, WhatsApp opens the chat presenting the view where the image is visible. This version has a bug that shows as enabled the Stickers search. I've received some reports on my Discord and Twitter that reported the server activation of the stickers search feature. The feature is not enabled, it's a bug! If you open WhatsApp the first time and the last used tab is "Stickers", the button will appear. It will disappear if you switch tab. Previous PostPrevious WhatsApp will allow Stickers integration for third-party keyboards! Next PostNext WhatsApp beta for Android 2.19.21: what’s new?